Pop-up in front of prospects that visited your website. Get Your FREE Custom Marketing Report! VISION FORCE REMARKETING PROGRAM™ - 97 PERCENT OF PEOPLE DON’T TAKE ACTION AFTER OR CONVERT THE FIRST TIME AFTER VISITING YOUR WEBSITE. There are a lot of reasons why people leave your website. It doesn’t mean it was bad traffic. If you’re not remarketing to those potential clients you're losing out on a huge opportunity. 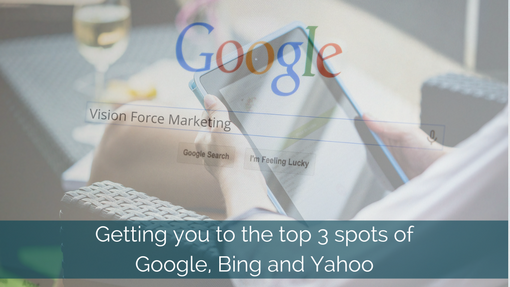 Vision Force’s remarketing program allows you to stay in front of your prospects and potential clients so when they go to Home Depot, ESPN or check the weather they are seeing your banner ads pop up, reminding them that they were visiting your site. Really the importance for having a remarketing campaign is anyone who has visited your site, from any other marketing channel, is going to be retargeted with your brand. Get Your FREE Remarketing Guild! This Will Help Your Better Understand The Power Of Remarketing. So getting them back to your website through banner ads through remarketing just further allows for you to get conversion out of those potential prospects you thought you lost or who were taking more time in making a decision. HOW VISION FORCE REMARKTING™ WORKS. We always start with solid Marketing Strategy. After one of your prospects comes to your website we make sure we hit them with display banners whether it’s on Google, news sites, or their Facebook page to make sure you’re #1 at the top of their mind. WHY IS REMARKETING SO IMPORTANT? It’s important because you have spent so much time, energy, and money driving prospects to your website. It would be crazy to let them just fall the way side and never engage or interact with them again. We always tell our clients never stop marketing, but absolutely never to stop your remarketing campaigns. A HUGE BENEFIT IS IT’S A LOT MORE COST EFFECTIVE PLACING REMARKETING ADS. It allows us to drive more conversions through Google and Facebook in a much more cost-effective manner. Way better than you would get on email blasts to a cold market or out bound marketing solution. 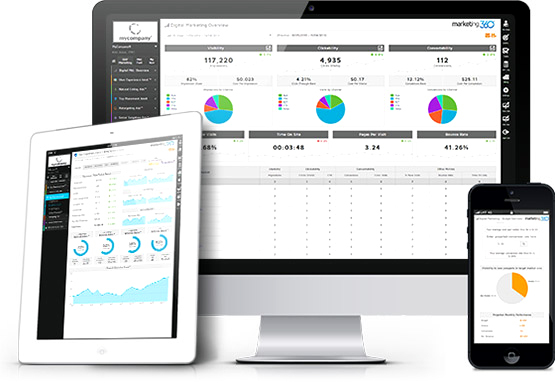 It allows you to re-engage your brand and drive more conversions on the back end. CONSTANCY AND REPETITION BUILDS BRAND AWARENESS! Vision Force Remarketing Program™ builds brand awareness by keeping your brand in front people who visited your website. It also helps you stay top of mind. So, when they are ready to buy you are right in front of them. Remarketing ads allows us to keep you in front of them regardless of where they go on the internet and ensures when they are ready to interact with you again or buy your product or service they work with you as opposed to one of your competitors. Those ads you see in the middle of your Facebook page for those new tires you were looking to buy -- that’s what we will do for your local, national or international business. We will remarket people while they are surfing the web. WHY USE VISION FORCE REMARKETING™? We have software so you can see everything from one place. No more guessing or just trusting your web guy that he’s doing a good job. We have full transparency with our clients. If we see things aren’t working OR if see things can be improved we make adjustments to the banner ads or to the content to ensure you’re getting more sales and conversions. CALL US AT 888-723-7194 FOR QUICK CHAT TO SEE IF WE CAN HELP.